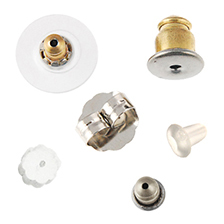 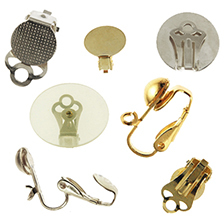 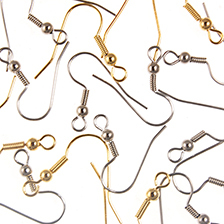 Earring parts and findings to design or repair your earrings. 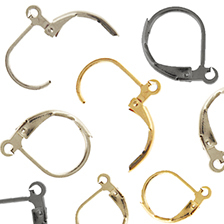 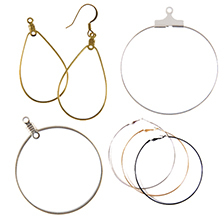 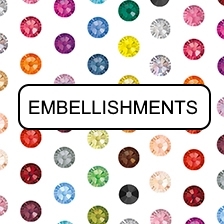 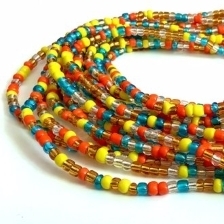 We have a wide array of styles including fishhook and earwires, leverback, posts, clip-ons and converters, hoop and chandelier earrings as well as earring backs. 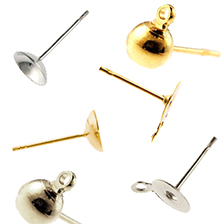 Finishes include, gold and silver plated and filled, surgical steel, brass, sterling silver and imitation rhodium.